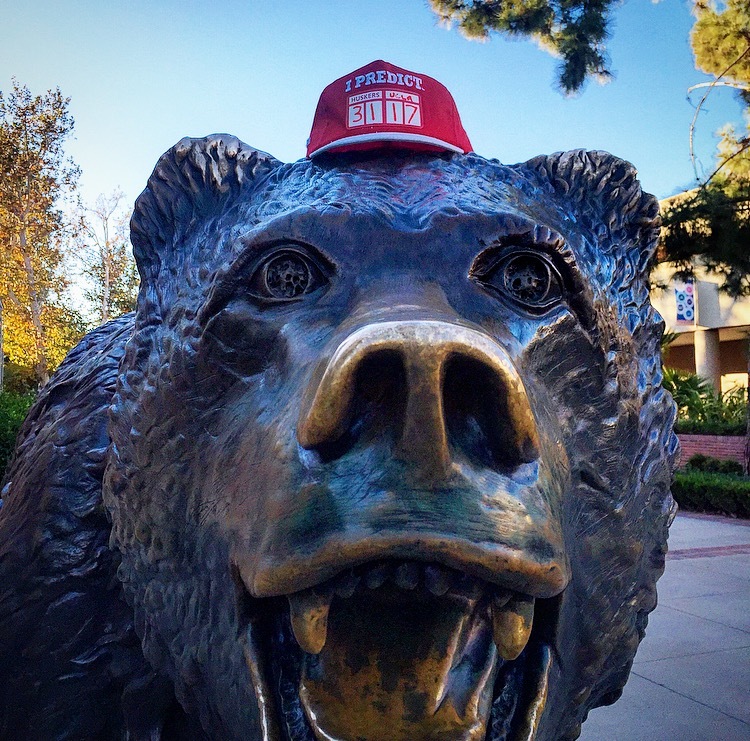 We already know that Mike Riley is nice enough to let teams win when a game is close but just how nice is here? 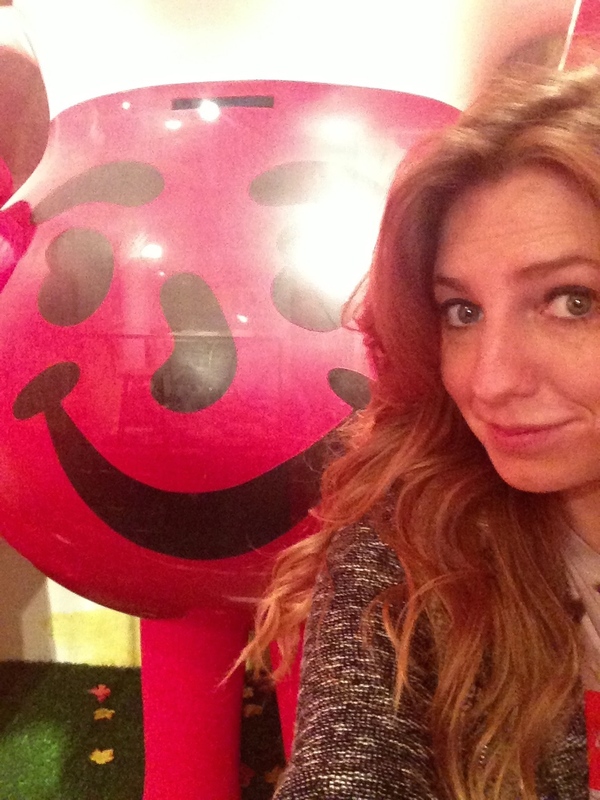 In the spirit of Chuck Norris Facts, here are some examples of #NiceRiley in full effect. Feel free to chime in with any of your own in the comments. 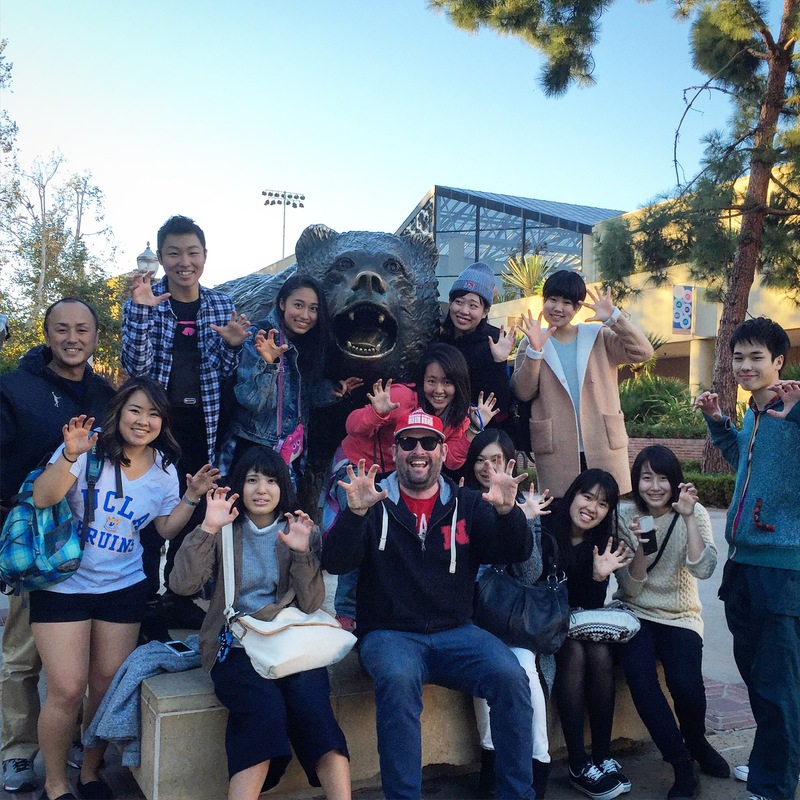 Mike Riley is so nice… he enjoys sitting next to babies when he flies. 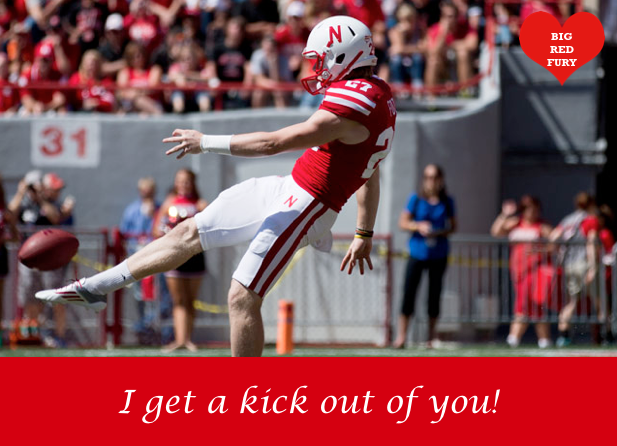 Mike Riley is so nice… he sends an apology when paying a parking ticket. Mike Riley is so nice… he obeys all traffic laws when playing Grand Theft Auto. Mike Riley is so nice… he tips when he goes to the DMV. 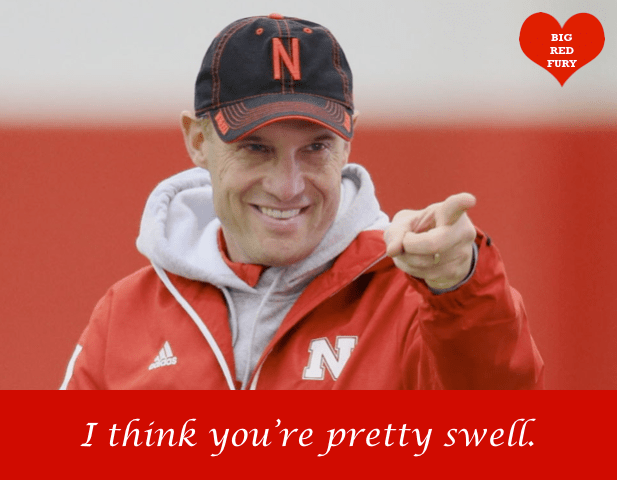 Mike Riley is so nice… he became a Mormon AND a Jehovah’s Witness. Mike Riley is so nice… he pays to subscribe to the Omaha World-Herald instead of clearing his cache like everyone else. 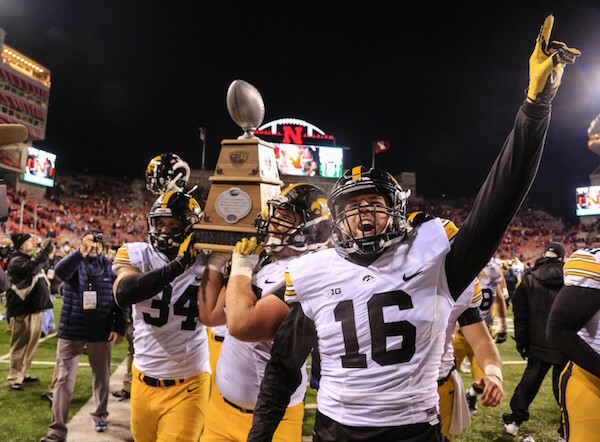 Mike Riley is so nice… he’s never mentioned in public that Vader is Luke’s father to avoid any potential spoilers. 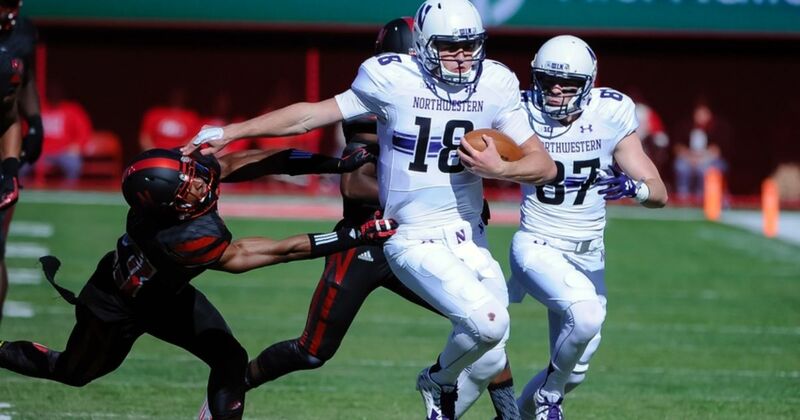 Mike Riley is so nice… he runs stairs when players mess up in practice. 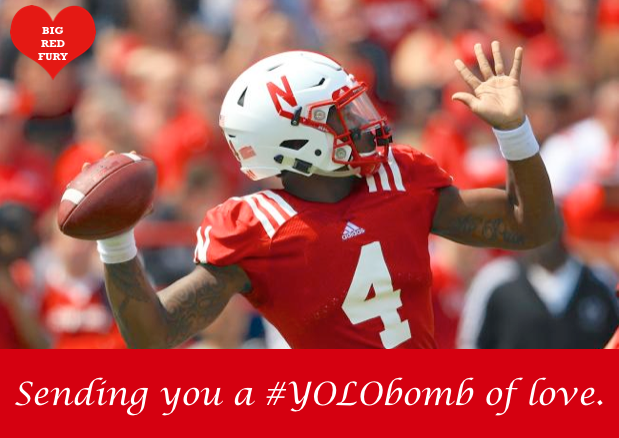 Mike Riley is so nice… he doesn’t honk at the car ahead of him when the light turns green out of fear of interrupting an important phone call. Mike Riley is so nice… he’s happy to let someone with 37 items cut ahead of him in the express lane. 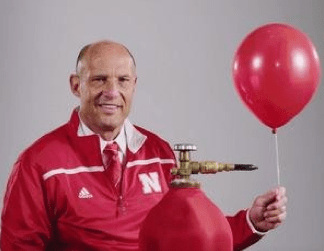 Mike Riley is so nice… he tells his wife everything that happened in Vegas. Mike Riley is so nice… he always says please and thank you when asking Siri a question. 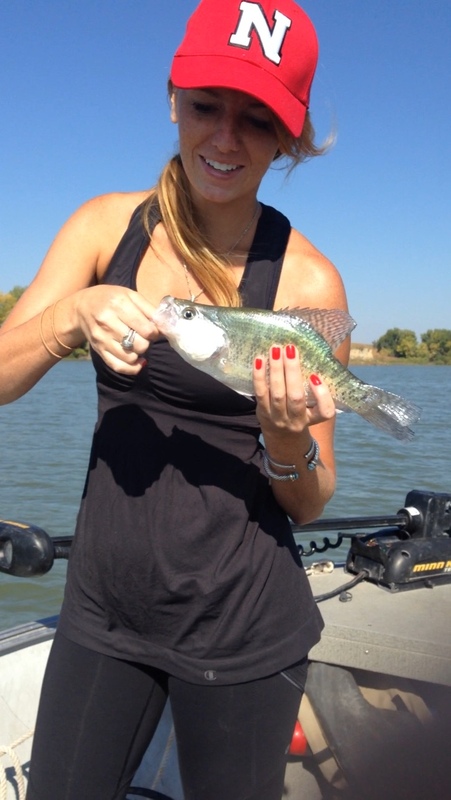 Mike Riley is so nice… every time he catches a trout, he takes it to the vet for a check up before releasing it. 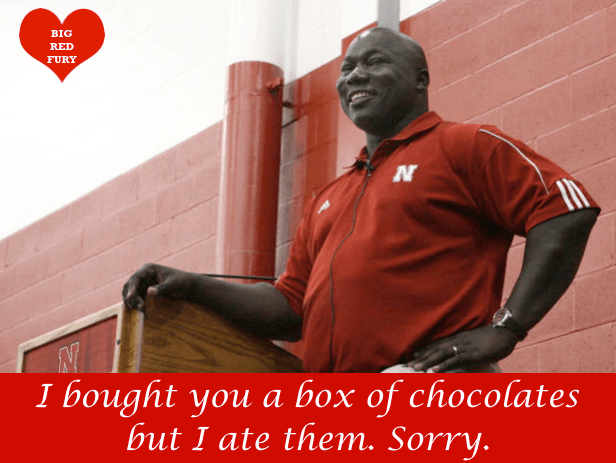 Mike Riley is so nice… he always says yes when a stranger offers candy. 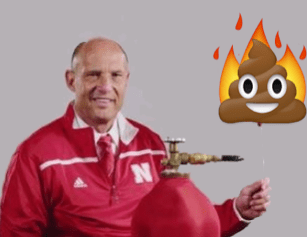 Mike Riley is so nice… he asks telemarketers how their day is going. 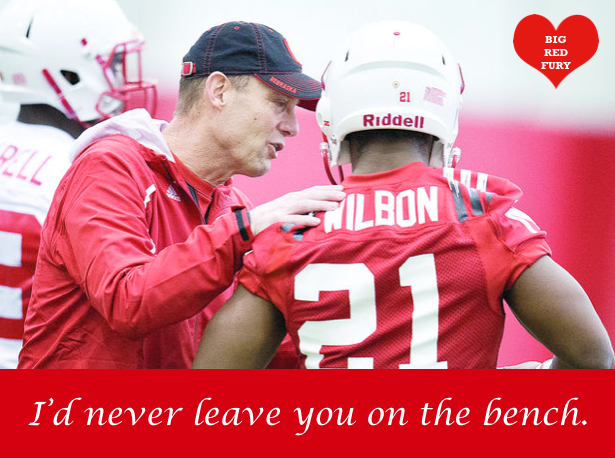 Mike Riley is so nice… he once gave a mugger the extra $20 he keeps hidden in his shoe. 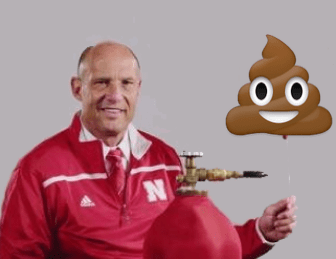 Mike Riley is so nice… he washes his bedding before checking out of a hotel. Mike Riley is so nice… he limits himself to three breadsticks when dining at Olive Garden. 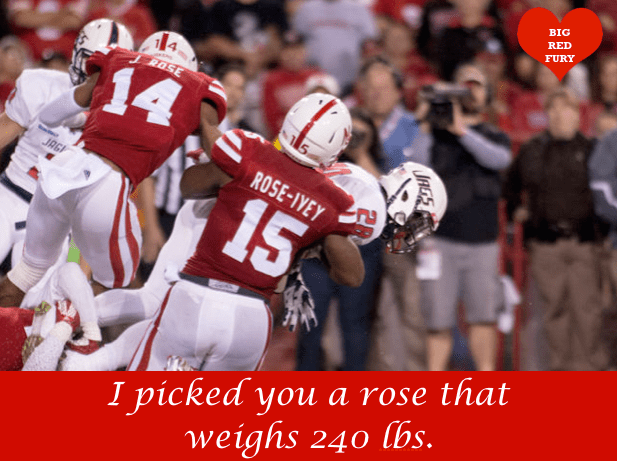 Mike Riley is so nice… he never takes pennies. He only leaves them. 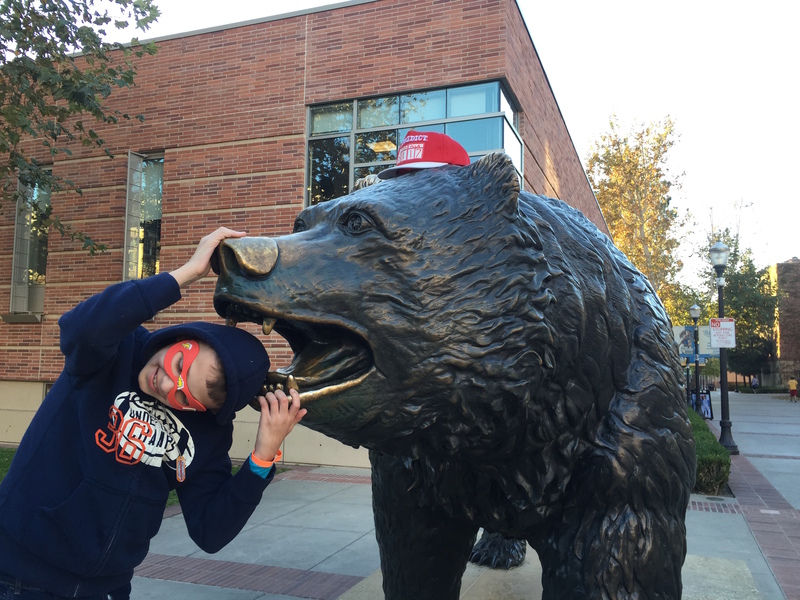 Mike Riley is so nice… any dog that humps his leg gets to finish. 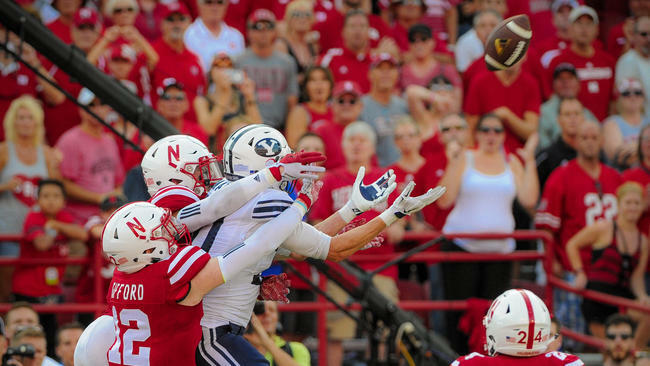 If Miami and BYU were gut punches, the Huskers’ game against Illinois was two days of brutal torture condensed into 55 seconds of game play plus some time allowed for a couple of BS pass interference calls. With Illinois not necessarily being a marquee match up (on paper at least), the vibe at our Californians for Nebraska watch site had the all the excitement and energy of a Catholic mass at 6pm on a Sunday. Yes, us faithful Husker fans were there but it felt like it is was more out of obligation (and a collective lack of the Big Ten Network among those in attendance). Let’s just say it was a good thing the TVs at the Happy Ending are securely bolted to the walls. No matter who called it, just how bad was the decision to pass the ball on that fateful third down? I won’t name any names or anything but there was a person at our watch site who took until the second quarter to notice that the art work on the 50-yard-line was an outline of the state of Illinois. 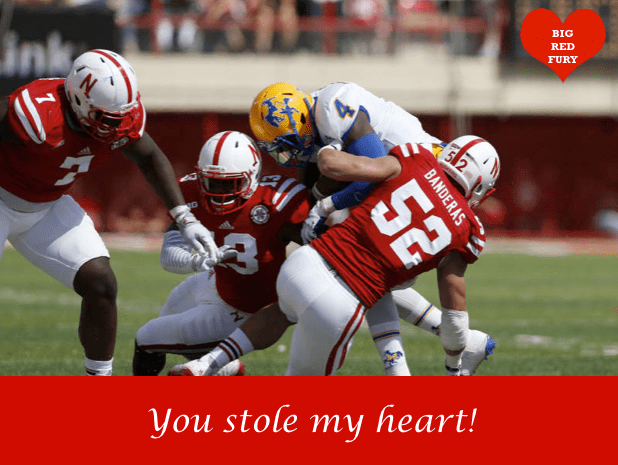 Now that the table is properly set, even they were screaming “Whatever you do, don’t pass!” when the Huskers lined up for that fateful third down play. Look, a “rebuilding” season is fine but there is absolutely no excuse for the coaching staff to completely forget how to coach a game. If Frank Solich played checkers to Tom Osborne’s chess, Mike Riley and company are playing Go Fish right now. It just doesn’t make any sense to the point that even this site wholeheartedly agrees with Dirk Chatelain. 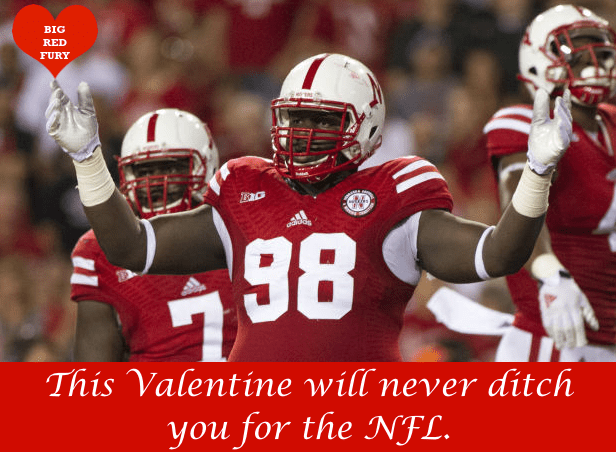 Hope you’re happy with what you did Mike Riley! 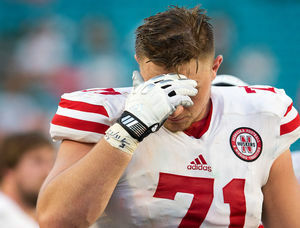 Alex Lewis: If he even makes it to Senior Day, he might be the first starting captain to get less applause than a mystery walk-on lineman. The Downside of Your Husker Watch Site Also Being an Ohio State Backer Bar: Your friends from Ohio will mercilessly mock you on that Chat Snap. 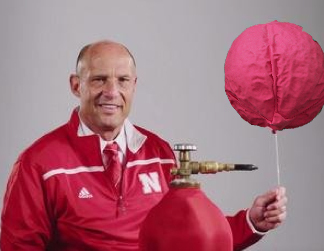 Mike Riley’s Balloon Watch: Coach Riley’s balloon just didn’t deflate, it went full Pile of Poo emoji. 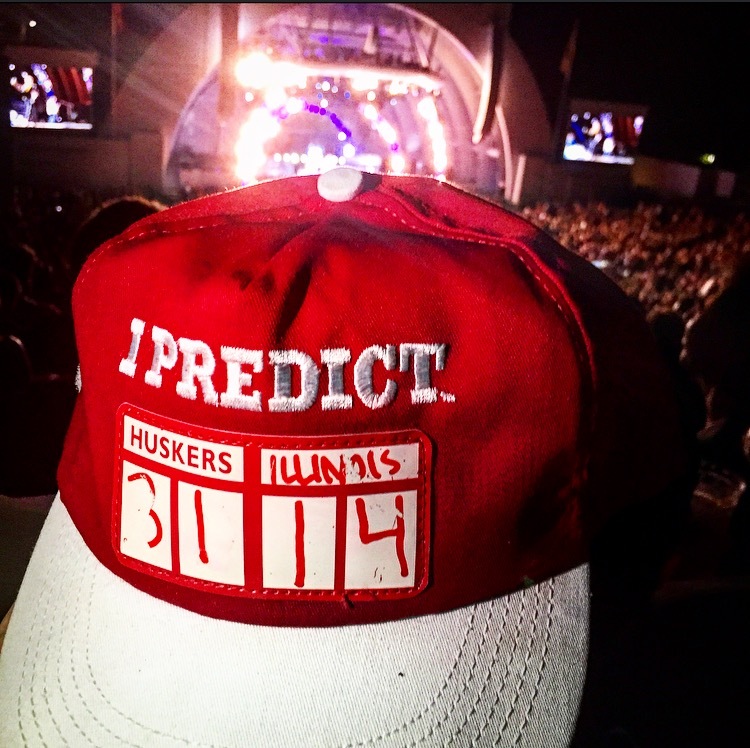 Our Score Prediction: Would have nailed it if only the Huskers’ numbers weren’t reversed. Larry The Cable Guy: Could really use a hug, or some whiskey (at 8:13am on a Sunday morning.) Be sure to read the rest of his rant on Twitter. Dude makes some very legitimate points. Somebody get me some whiskey!!!! 32: Was Imani Cross even on the travel roster? Dude didn’t even see the field. 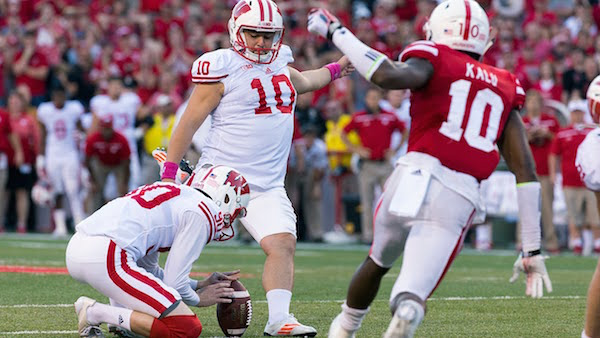 46.9: Sam THUNDERLEG Foltz‘s average punt distance. Dude had the biggest yardage of either team by a wide margin netting 422 yards on nine punts. 4:55: Illinois’ time-of-possession in a 4th quarter in which they scored all 14 of their points. 51 of those last 55 seconds really mattered didn’t they? 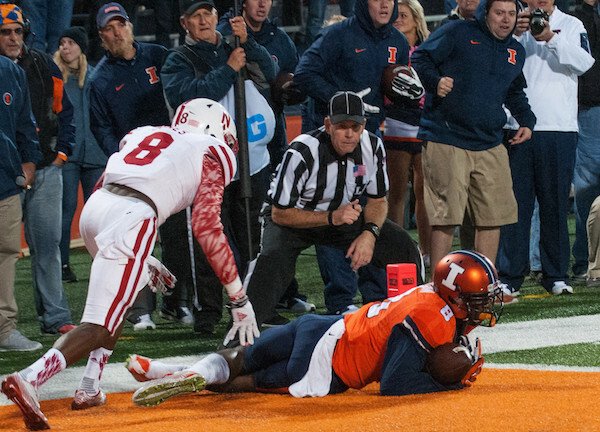 6: The number of tries it took Illinois to score their game winning touchdown when they started with a 1st and goal from the 7 yard line. 10: Devine Ozibo‘s average yards per carry on 7 rushes for 70 yards. Meanwhile, Terrell Newby maintained a solid 3.0 for a total of 15 yards on the day. 31 – 3: The final score of Youngstown State’s victory over the South Dakota Coyotes.